Sixteen Mile Creek - Sumac Geomatics Inc.
Sixteen Mile Creek flows from the Niagara Escarpment through the Town of Milton and City Oakville to Lake Ontario. The creek is characterized by steep banks and terraces, is home to numerous species of wildlife and is considered an environmentally sensitive area. In 2015, Sumac was retained by Amec Foster Wheeler to provide high resolution aerial photography and 3D models of the creeks embankment. 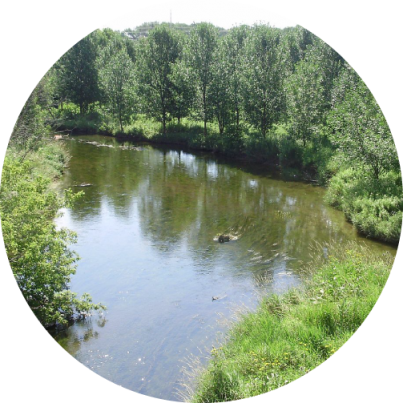 The project site was located at the world-famous Glen Abby Golf Club and focused on the Enbridge Pipeline Sixteen Mile Creek water crossing. At this site, high resolution data was required to assess a section of embankment and protective rip-rap that was showing signs of subsidence. Sumac provides high resolution remote sensing, survey and inventory solutions to assist companies who need answers to spatial questions. 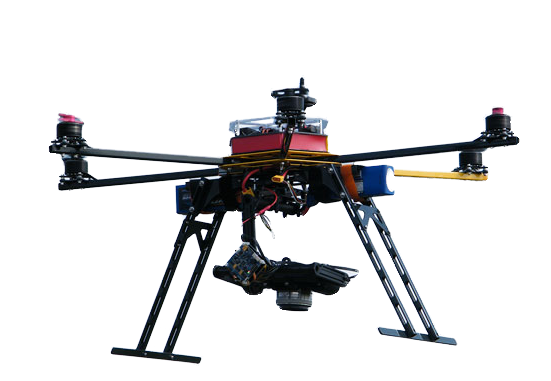 To complete the project, Sumac deployed its Observer 6 unmanned aerial vehicle to capture 1cm aerial imagery over the target site. Ground control was obtained using Real Time Kinematic GPS. From the resulting imagery, an orthomosaic, dense point cloud and digital terrain model was produced. Data products were delivered in the clients preferred CAD format. Sumac’s experienced GIS and Geomatics personnel are ready to take on your next project. Our team of skilled professionals deliver comprehensive information solutions on-time, within budget, and to your specifications.